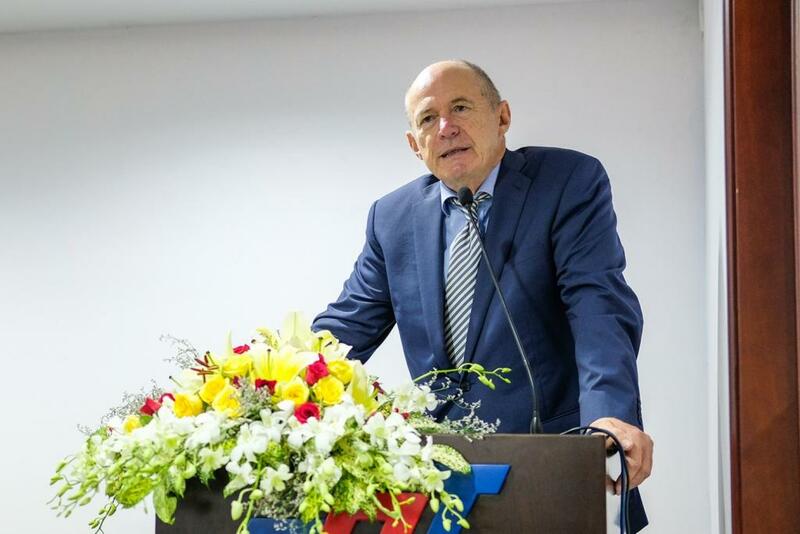 Based on the implementation of the Doctoral Sandwich Program, the European Cooperation Center is pleased to invite the President of the University of Ostrava (UO) to visit and work at Ton Duc Thang University (TDTU) starting from September 21, 2018 to September 25, 2018. 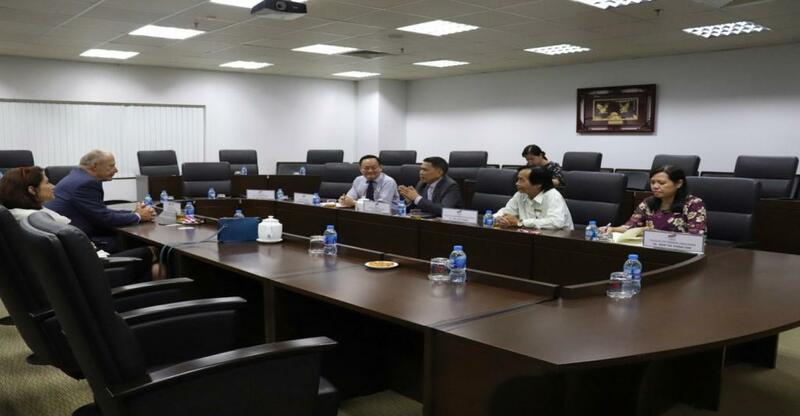 During the time of working at TDTU, the European Cooperation Center (ECC) was pleased to welcome Professor to attend the Opening Ceremony of the school year 2018-2019. 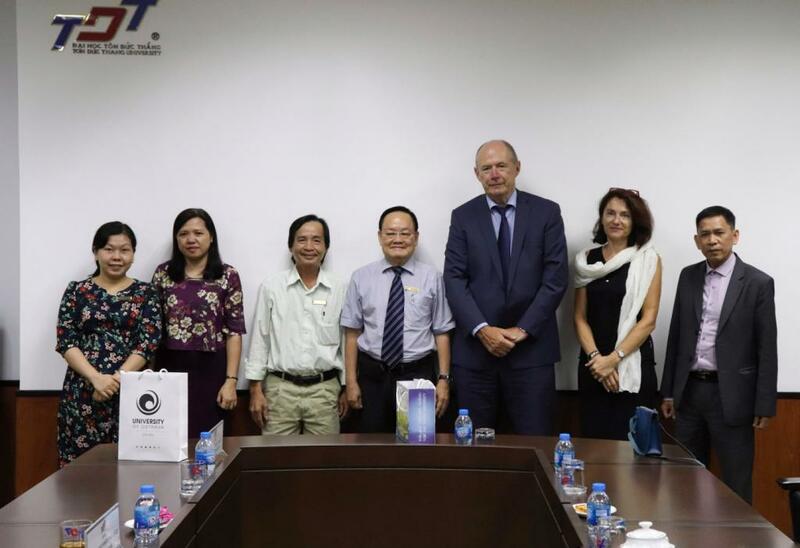 In addition, on the afternoon of September 25, 2018, the Leadership of Pharmacy Department, Faculty of Mathematics - Statistics, Faculty of Foreign Languages, had a meeting with the Principal of Ostrava University on the issues of research cooperation and training future, expanding cooperation between Ton Duc Thang University and Ostrava University. During this visit, Professor and his wife were extremely excited about the trip around the city, Long Hai - Ba Ria Vung Tau as well as the friendly and hospitable Vietnamese people. The visit has left many beautiful impressions and memories that Professor and his wife always wanted to return again.